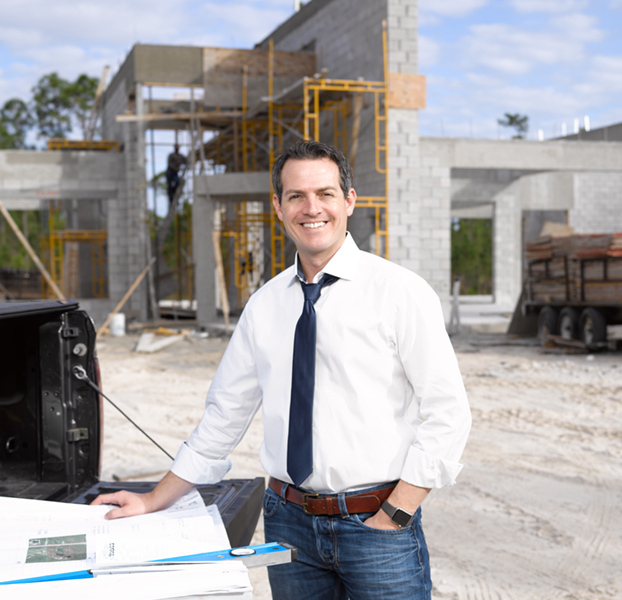 Looking for a Custom Home Builder in Naples? Look no further than KTS Homes, a full-service custom home builder providing services to the Naples, FL, area. Our team will act as architect, designer, builder, and general contractor throughout the process. Building a home requires a good foundation—both literally, and in the team that’s running the project. With KTS Homes you’ll have a foundation you can trust. Our team of home-building experts is ready build your luxury Naples paradise to your exact specifications. You’ll meet with our skilled professionals to design, build, and complete your entire home from beginning to end. We can build on an existing lot or provide one of our development sites to you. We’ll treat your home as if it’s our own—focusing on quality materials, impeccable attention to detail, and adherence to budget and timeframe. If you’re already working with an architect, we’re happy to build the home in partnership with them, too. We’ve worked with countless talented architects throughout Southwest Florida and look forward to bringing their unique designs to life. Designing a home is a deeply personal process, one we take very seriously. We know that every detail matters and that building a home from the ground up is a significant investment. We’ll be with you every step of the way, until we can hand over the keys. An industry veteran with more than 18 years of experience, Scott leads the firm’s growth and business development. As a second-generation builder, Scott understands the nuances of a successful build. After being trained as an architect, his unique ability to bridge the gap between architectural design and quality building is unmatched. In addition, Scott has held prestigious roles in other industries, maximizing his skillset in management and development. Receiving statewide acclaim following the completion of the Newport model at Naples Reserve, Scott has cemented himself as a leader in custom home building. His uncompromising commitment to quality materials, seamless design, and standout construction are proven in his impressive roster of diverse clients. Scott’s work speaks for itself—let your home be his next creation. Call to learn more about our talented team.